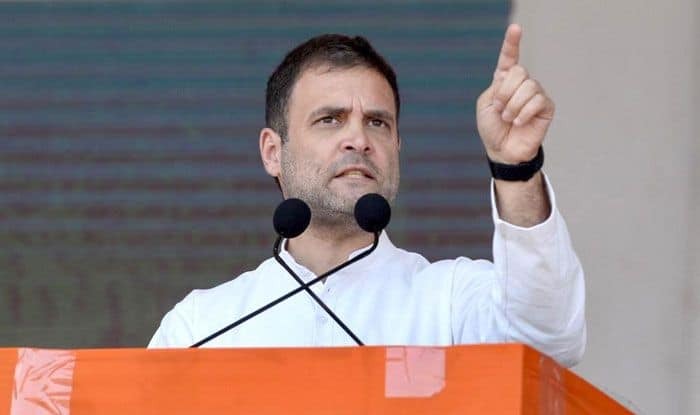 In the letter to Home Minister Rajnath Singh, the Congress has reportedly said that while Rahul was addressing the media after filing his nominations from Amethi, a laser was pointed at his head seven times. New Delhi: Replying to the Congress complaint over a possible sniper laser aimed at Rahul Gandhi during his Amethi visit on Wednesday, the Ministry of Home Affairs said it was just the light from a mobile phone. In the letter to Home Minister Rajnath Singh, the Congress had reportedly said that while Rahul was addressing the media after filing his nominations from Amethi, a laser was pointed at his head. Not once, but multiple times. It said, “a perusal of his interaction will reflect that a laser was pointed at his head, on at least seven separate occasions”. The letter, signed by Ahmed Patel, Jairam Ramesh and Randeep Singh Surjewala, also said that the laser could “emanate from a potential weapon such as a sniper gun”. Along with the letter, the Congress also sent a video clip of Rahul’s media interaction. It said that Rahul’s security was the “first responsibility” of the Central government and the Home ministry. It also blamed the UP government for the alleged lapse in Rahul’s security. Citing the assassinations of Rahul’s father Rajiv Gandhi and grandmother Indira Gandhi, the letter seeks for the Home Ministry to “investigate and neutralise the threat, if any”. ANI reported the Home Ministry as saying, “We’ve not received any letter regarding an alleged breach in security of Congress President Rahul Gandhi. As soon as MHA’s attention was drawn to reports of the incident of “green light” being pointed at him yesterday in Amethi, the Director (SPG) was asked to verify factual position. “Director SPG informed MHA that the green light shown in clipping was found to be that of a mobile phone used by AICC photographer, who was video graphing the impromptu press interaction of Rahul Gandhi near the Collectorate in Amethi,” it said.